The winged (flying) piggy, the core element of the Flight Collection, is meant to be the message to all those flying to judge and reject: Hey, look, the pigs are really flying! Proof and witness thereto shall stand these jewels, amid hurried loops, plunging necklines, fast-moving, fretting fingers, or mellow and prudent wrists. An expression of the impossible made possible. 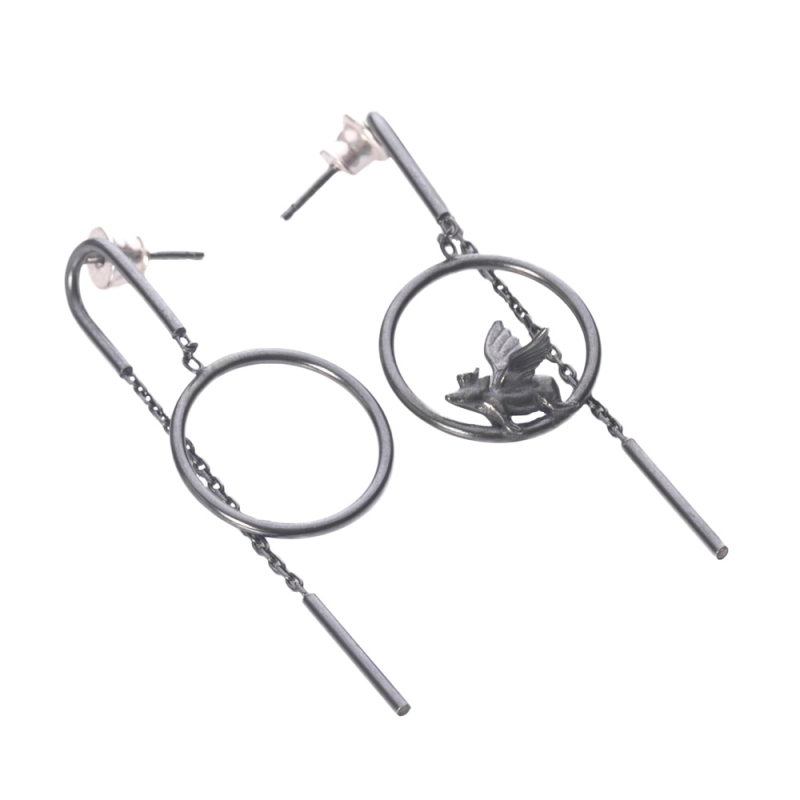 The earrings type is push-back.The earrings are handcrafted in the Bizar Concept workshop. Measurements Approximate length: 3,9 cm / 14,96" Approximate flying pig size: 1 cm / 0,39 "